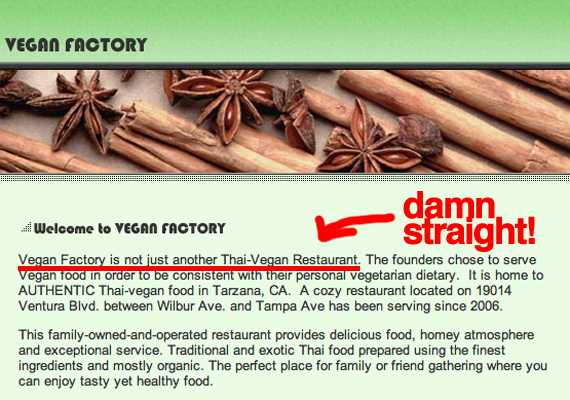 While some may suggest that vegan Thai food is overdone in Los Angeles, Vegan Factory does it incredibly well. 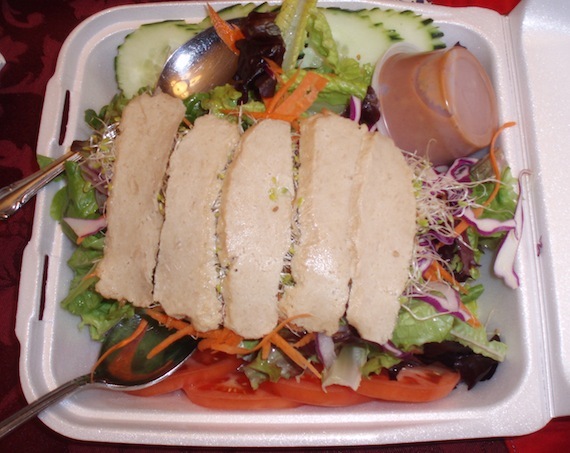 Located in a strip mall on Ventura Boulevard west of Vanalden in Tarzana, Vegan Factory features soups, salads, curries, and noodle dishes. The dishes range from relatively healthy to downright decadent. Since I’m a cardiologist, I usually roll with at least a few healthful offerings, but my family, who I was bringing takeout dinner to, like some of the more sinful options.